In Chair Sitting Senior Business Man With Cigar And Whisky. Gray.. Stock Photo, Picture And Royalty Free Image. Image 32035111. 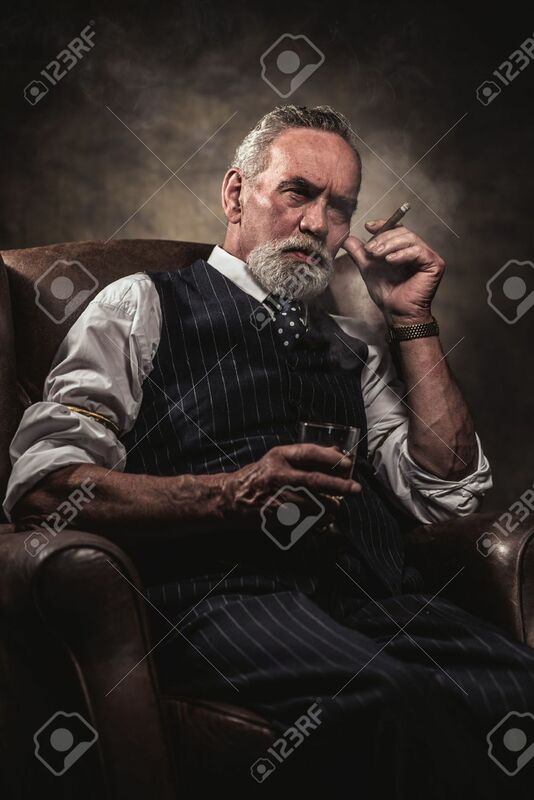 Stock Photo - In chair sitting senior business man with cigar and whisky. Gray hair and beard wearing blue striped gilet and tie. Against brown wall.